Ever wanted to own a piece of a world-class ski resort? We’ve all noticed big changes to the ski industry over recent years. Resort acquisitions, corporate take-overs, and mega-passes have lead to 3 major companies owning nearly of the 40 ski resorts worldwide. But one mountain, Western Canada’s oldest resort, Red Mountain, has taken a stand against the standard global merger, and offered a slice of paradise in an attempt to support growth and fight for independence. Red’s “Fight The Man. Own The Mountain.” crowdfunding campaign, launched in August 2016 (ironically, the same week as Vail Resort’ historic acquisition of Whistler-Blackcomb), called to arms all equity investors - and the local (and international) skiing community jumped at the opportunity to be part owner of this world-class ski resort. “shRED Equity” can be purchased for a little as $1000, with many tiers in the Red rewards system to encourage larger investors. Along with a stake in the resort, investors receive some great perks – exclusive access to an on-mountain club house, overnight cabin stays, season passes, and custom skis and snowboards. The initial ‘Test the Water’ phase of crowd funding surpassed its predicted $10 million goal, with streams of pledges from all types of skiers and snowboarders – from hard-core enthusiasts and pro-riders, to local families. With no dividends paid, no profit sharing, or seats on a board, the reward for these investors is just a real equity stake in the mountain. These investments will fund possible future projects at Red, and go towards growing and maintaining this community-run ski resort. 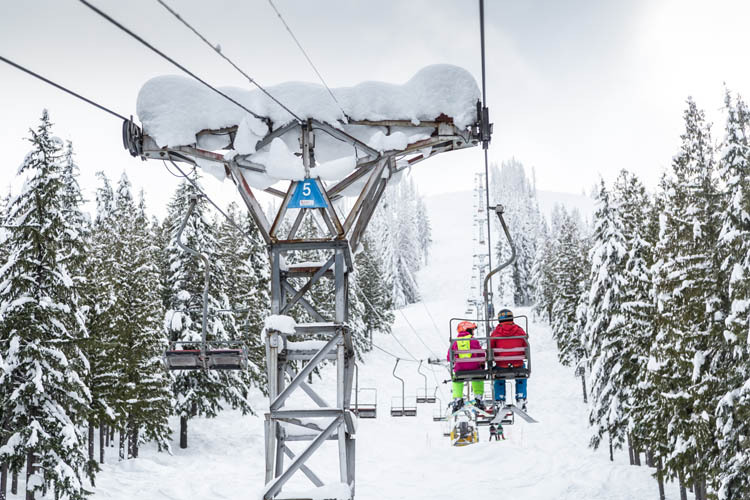 The developments include new Red clubhouse, on-mountain cabins, remodeling of the Paradise lodge, a youth hostel, chairlift extensions, and additional expansion of the current cat skiing terrain. Alongside the developments and growth of the mountain itself, Red has committed to remaining strong rooted to its’ community values and ideals, sending a fierce message of independence that has reverberated throughout the ski industry. Want to learn more about this historic campaign? Read more or take part here.